Surprise changes to Social Services Minister Christian Porter’s portfolio will see him focus mainly on disability and the rollout of the $22 billion National Disability Insurance Scheme. The move to appoint a new Assistant Minister for Social Services and to shift some of Porter’s responsibilities to others in the Parliament has been welcomed by disability advocates. Almost two weeks ago when Prime Minister Malcolm Turnbull announced his new Cabinet it seemed that the disability sector had been forgotten with the omission of an Assistant Minister for Social Services. The previous holder of the portfolio, Senator Mitch Fifield, was in charge of disability and aged care in the Parliament before he was promoted to Minister for Communications in the Cabinet reshuffle. On Wednesday it was announced that Alan Tudge had been sworn in as Assistant Minister for Social Services and that Porter would be focussing more on disability. Sussan Ley was also sworn in as Minister for Aged Care, adding to her responsibilities as Health Minister. Porter said the reworking of the Cabinet would see the seniors and ageing policy move to the Department of Health, and childcare policy will move to the Department of Education and Training, allowing him to focus on disability and the NDIS. “Now that the portfolio responsibilities have been finalised I will also be inviting key stakeholders in the disability and other sectors to Canberra for a series of ministerial meetings and departmental briefings during the October sitting weeks of Parliament,” Porter said. Porter said the NDIS was recognised by the Turnbull Government as a vital reform and he would provide people with disability and their families with a direct voice in the Cabinet. “The NDIS is one of the largest social policy reforms in Australia’s history and it will provide choice and control to around 460,000 Australians with disability – it is now at the absolute centre of my portfolio responsibilities,” he said. “Now that New South Wales and Victoria have finalised arrangements for the state-wide roll out of the NDIS, certainty already exists for 58 per cent of all future participants. “My focus is on furthering the very productive engagement that Senator Fifield had with the remaining states and territories. 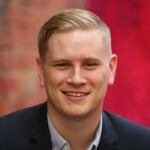 President of People With Disability Australia, Craig Wallace, told Pro Bono Australia News that he was pleased to see the Turnbull Government clarify where disability would sit within the new Ministry, but that he would still prefer a dedicated Minister for Disability be appointed. “When the Ministry was announced last week many people with disability and their families were deeply concerned about the lack of a dedicated Ministerial position with the same focus as Minister Fifield was able to bring to the portfolio,” Wallace said. It remains our strong view that disability deserves a named Minister along with restored Commissioner & ABC Ramp Up. Voice is critical. “The NDIS implementation is a big job and there is a practical need for a dedicated Minister. Wallace urged the Government to reinstate the position of Disability Discrimination Commissioner at the Australian Human Rights Commission after the Abbott Government abolished the role in 2014. A spokesperson for Alan Tudge told Pro Bono Australia News it was not yet known exactly what responsibilities he would have but that the details would be announced in “due course”. 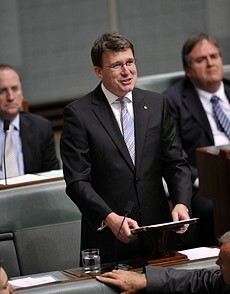 Tudge said he was honoured to take on the position. “It is a privilege to serve in the executive level of the Turnbull Government and I thank the Prime Minister for his confidence in me,” Tudge said. Today I have the honour of being sworn in as Assistant Minister for Social Services adding to my responsibilities as Assist Min to PM. “This afternoon I was sworn in by the Governor General to this position. This appointment to the Social Services portfolio is in addition to my ongoing responsibilities as Assistant Minister to the Prime Minister. Tudge said he would continue to work on developing the Welfare Cashless Debit Card, which only this week was slammed by welfare advocates. “My work in developing the Welfare Cashless Debit Card trial will continue as the government seeks to address the impacts caused by welfare-fuelled alcohol and drug abuse that exists in some Australian communities,” he said. Tudge and Ley were two of a slew of surprise Ministerial announcements with Ken Wyatt also being sworn in as Assistant Health Minister, making him the first indigenous person to be appointed to the Ministry of the Federal Parliament. UnitingCare Australia’s National Director, Lin Hatfield Dodds, welcomed the announcement that Ley would be Minister for Ageing. “Aged care is an important area of policy and practice. Australia has a structurally ageing population, which has driven the development of a game changing aged care reform process that will put people at the centre of the aged care system, giving them the power to make choice about their care and supports," Hatfield Dodds said. “Given that we are in the midst of putting the aged care reform agenda into practice, I welcome today’s announcement.